ATTORNEY SERVICES AND LITIGATION SUPPORT YOU CAN TRUST! Everyone needs a helping hand from time to time. 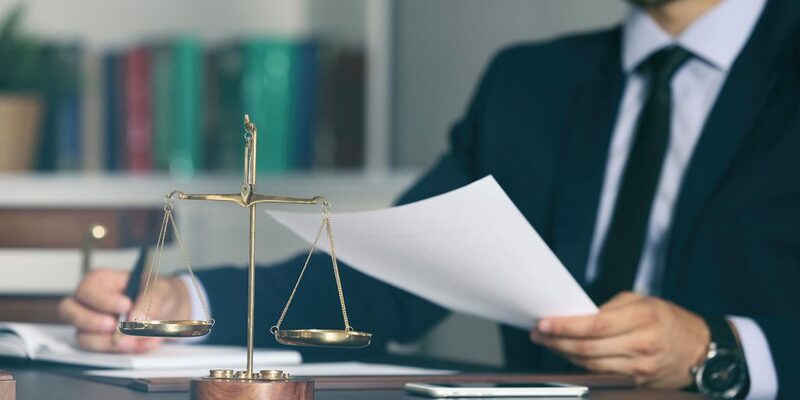 First Legal is an attorney services and litigation support company founded on the principles of great customer service and a can-do attitude. Our team of seasoned industry veterans have been doing this for over 30 years, making us a leader in the legal support industry. We aren't just another eFiling provider, we're the first comprehensive File Thru Trial™ company, specifically offering you a streamlined experience with fast turnaround. Our five divisions work together to tackle every assignment with precision and excellence. 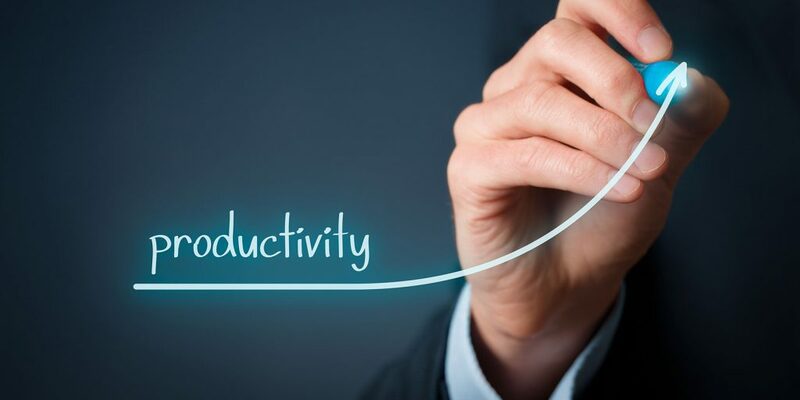 As a result, we provide you with the highest level of service so that you can stay focused on what you do best. First Legal delivers the most comprehensive eFiling program in the industry. File Thru Trial is the synergy of our five divisions working together to better serve you and offer benefits like higher efficiency and cost containment programs. Read more here! Ask us about our insurance and corporate programs! We offer comprehensive cost containment programs and a variety of corporate litigation services for all of our corporate clients. 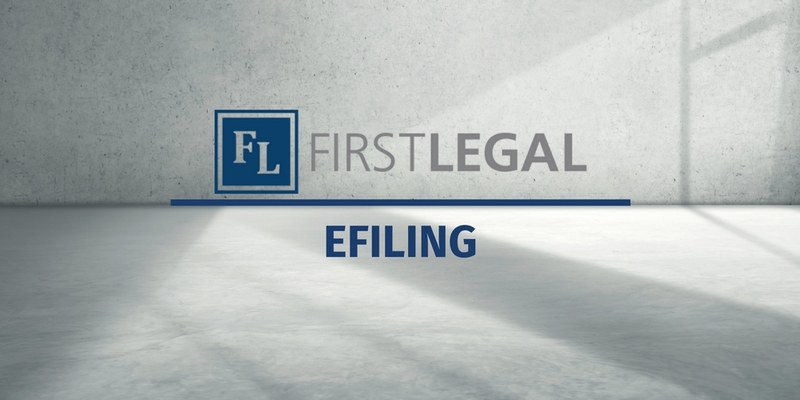 First Legal's eFiling team is here to help you file your documents electronically. "We have been with First Legal for about five years now, and the service provided is second to none…no matter the situation they can handle it…Consequently, I have nothing but high praise for ALL the staff and have emphatically recommended their services to many." 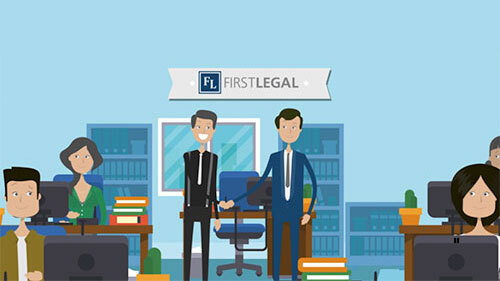 “First Legal has been a valuable, strategic partner for over 20 years. The First Legal team has provided unparalleled customer service, going above and beyond our expectations. We have used them for multiple services from court filings, court research, records, digital, depositions, and more. With other companies, detail is a point often overlooked, which is why they remain our go-to File Thru Trial provider." "I’ve been working with First Legal for some time now and am very happy with every aspect of this company. I had not used First Legal for depositions until this last year and I am very happy with this service as well. Thanks, First Legal! Basically.. keep doing what you’re doing!" "I have been using First Legal for a number of years and their excellent customer service, responsiveness, and commitment to help me ANYTIME I need it is so impressive – whether it be the attorney service or court reporters or special projects! I appreciate their dedication to always finding answers to questions and issues that arise in cases and work assignments!" "We have been using First Legal for almost a year now and I have been very pleased with the service they have offered our firm. 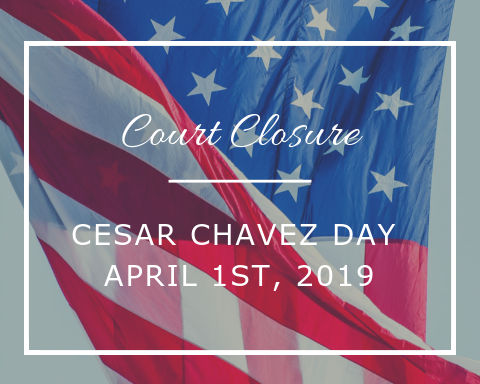 We use them almost daily for Court Filings, County Recording, Process Service, and Secretary of State Filings. They are quick to respond and are so versatile, with so many ways to place your order, that they are incredibly convenient. The staff is always courteous, friendly, and knowledgeable. They will even call and let you know about your completed filing if there was a same day deadline on the document. Further, the billing staff is helpful and goes out of their way every month to meet the needs of our small firm. Using First Legal exclusively has been a good decision and a pleasure." "I have dealt with every aspect of First Legal and have to say that they are the best at what they do. I have scheduled numerous depositions, some of which required special assistance, and there was never a problem. The staff is right on top of every order and checks to make sure that everything is right. I also have such high praises for their court/messenger services. The people are so knowledgeable and pick up on any little thing that might cause your document not to get filed. They make you aware of the problem and fix it. The investigation division has helped me in so many ways. I have had them stake out people and serve them when no one else could. They have found people when we have been at a dead end. They have seized property and kept the chain of custody so there are no questions asked. They're professional and extremely good at what they do and so I recommend them without hesitation."